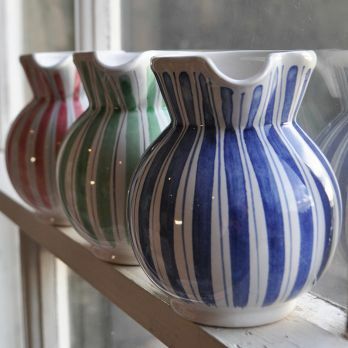 Certainly a contestant for our most famous design, hand-made & hand-painted Cottage Stripe Jugs – a true British classic. 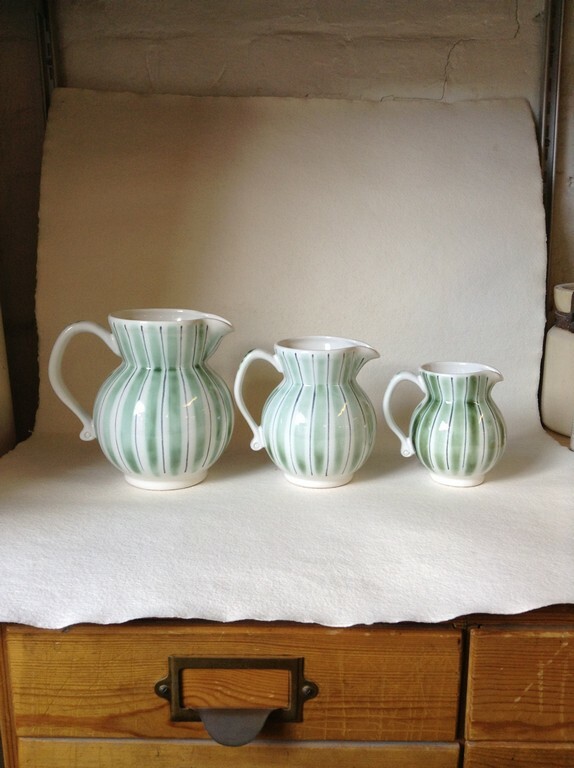 And don’t be fooled by the seeming simplicity of these pieces. 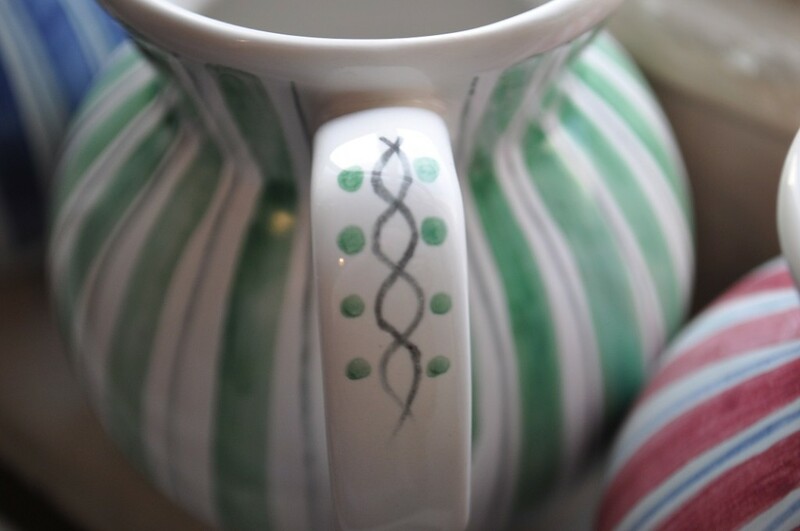 Using just a brush to create straight lines on a spherical surface when the paint is sucked up the second it hits the unfired glaze takes an awful lot of practice. 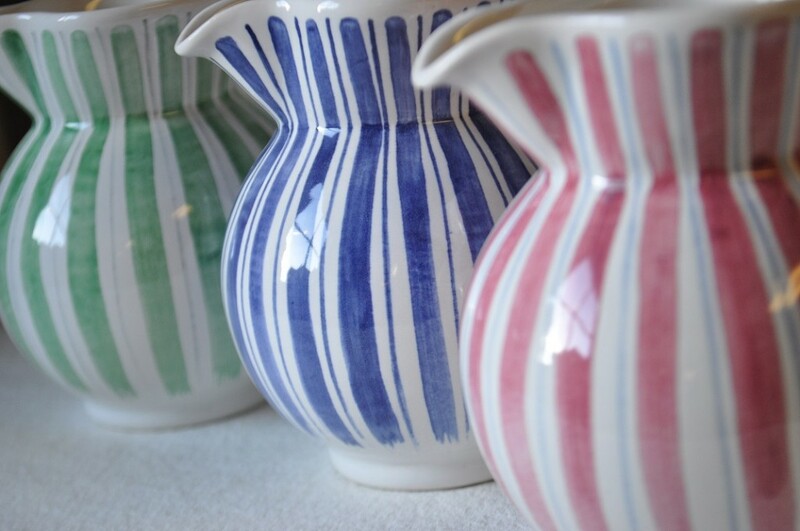 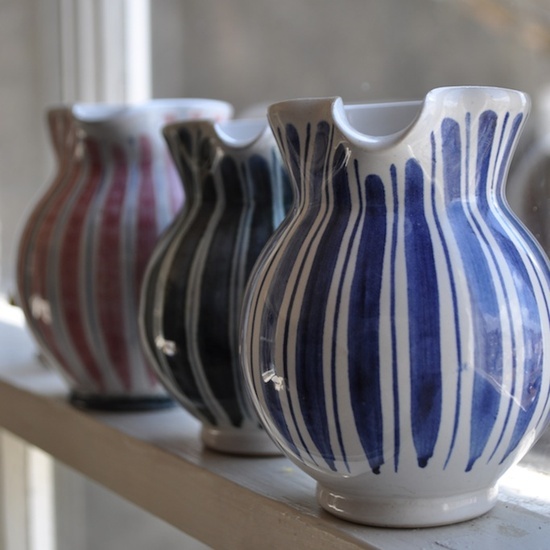 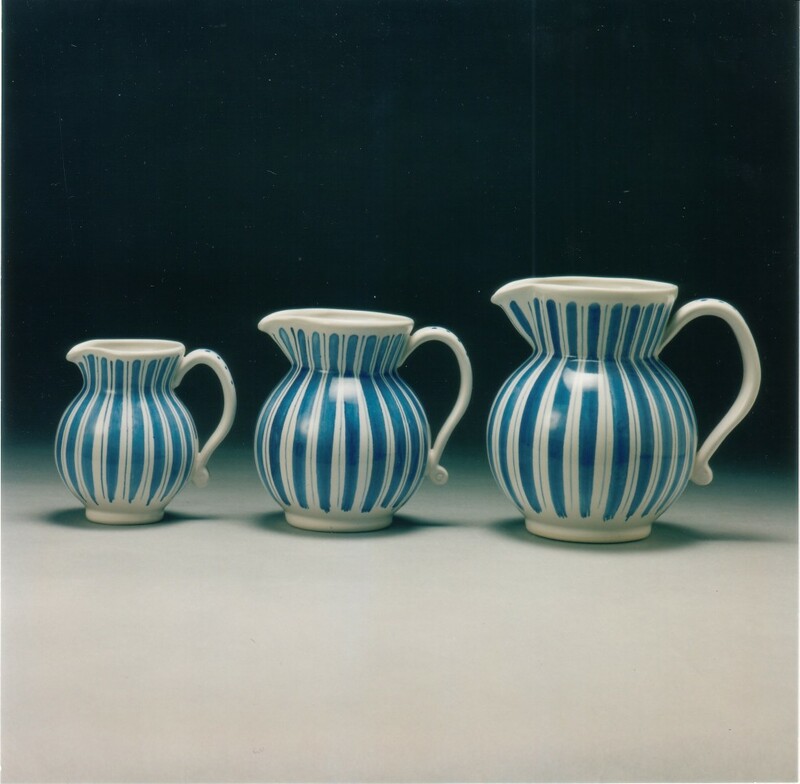 Our post-war paintress-turned thrower Pam Goddard reckoned if you could paint Rye Pottery’s Cottage Stripes onto these curvaceous jugs, well, you could paint anything. Available in three sizes; Small/Cream, Medium/Half Pint and Large/Pint. 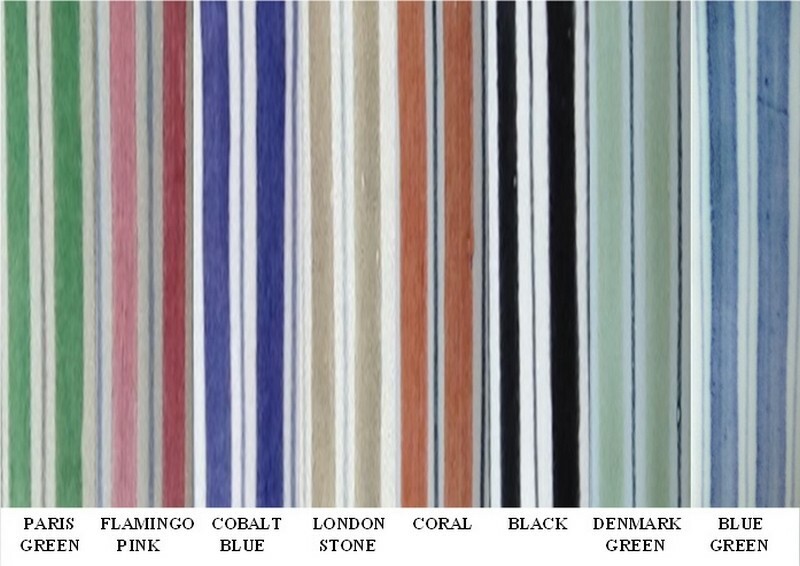 Now available in eight colourways: Cobalt Blue, Pink, Paris Green, London Stone, Denmark Green, Coral, Blue Green & Black. 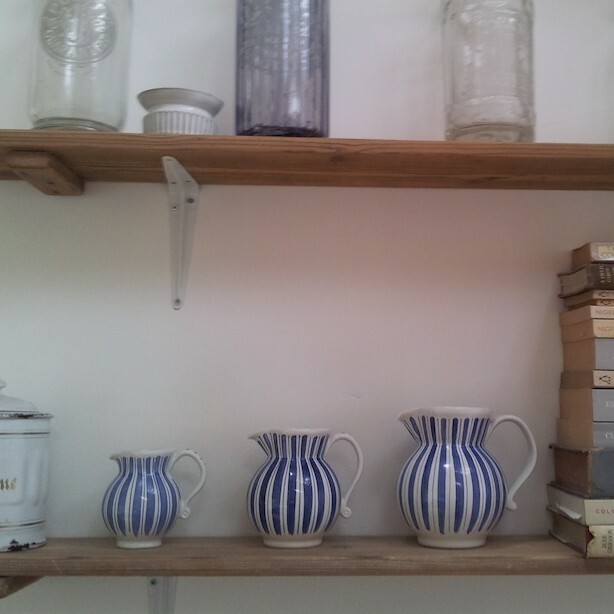 The Cobalt Blue is currently our most popular colourway, not least with collectors of Blue & White ceramics.